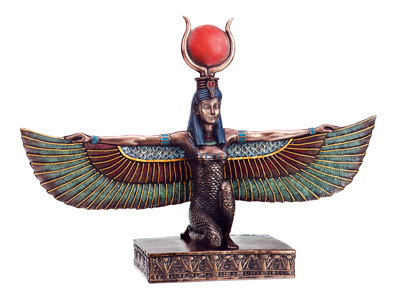 With a wing span of 13 inches Isis greets you! Cold cast resin and handpainted. We love this collection!